Our luggage is designed to both roll and carry as a backpack. As we checked out of our San Baronto apartment this morning, our host commented (again) on our lack of luggage. She couldn't believe that we each brought just one piece of luggage for a three-week trip. With a roll of her eyes, she described the “other American couple” who had checked in three days after us with what must have been a cartload of baggage. We couldn't help but feel (maybe just a little) superior! Would we do it again? You bet! How did we do it? I scoured the Internet for tips on traveling light. With some thought, planning and a wash-and-wear wardrobe, you can do it too! You can spend a lot of money on actual packing bags and envelopes, but simple Ziplock bags were the secret to our success. I bought a box of super-sized bags at our local grocery store (I love Raley's in Oakhurst!). These were great for Reg's clothes (which are larger than mine) and worked well for my pants. The regular size bags, that you probably all have in your kitchen drawer, are perfect for socks, underwear and worked well for my T-shirts. You'll fit a lot more in a bag if you roll your clothes. Roll everything! I really did roll everything, sliding each piece into a bag with the same type of item. Pants in one bag, shirts in another, socks and undies in a third. Stuff them full. It's surprising how flat your Ziplocks can be. 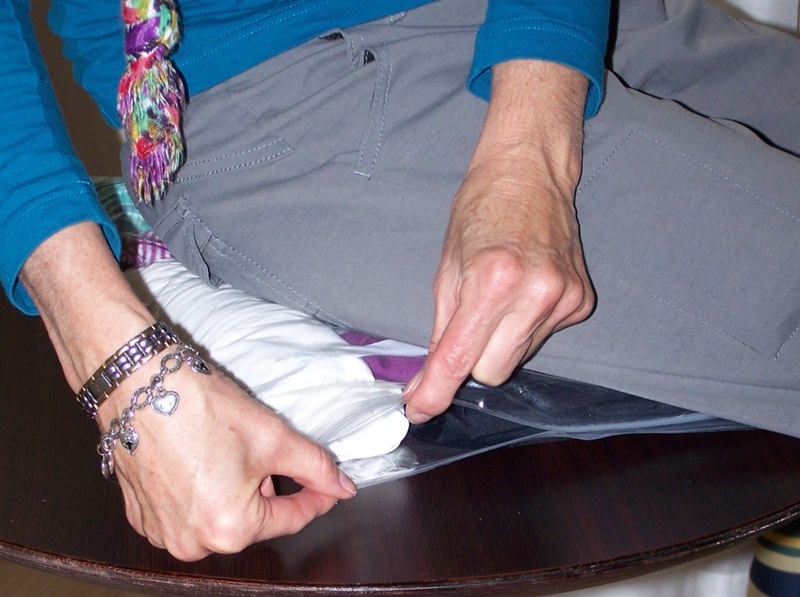 Once your Ziplocks are packed, zip them closed nearly all the way, leaving about an inch open. Then, find a hard surface (a wooden chair works well) place your bag on the chair and promptly sit on the bag. Once all the excess air is out, and before you stand up, zip your bag closed. 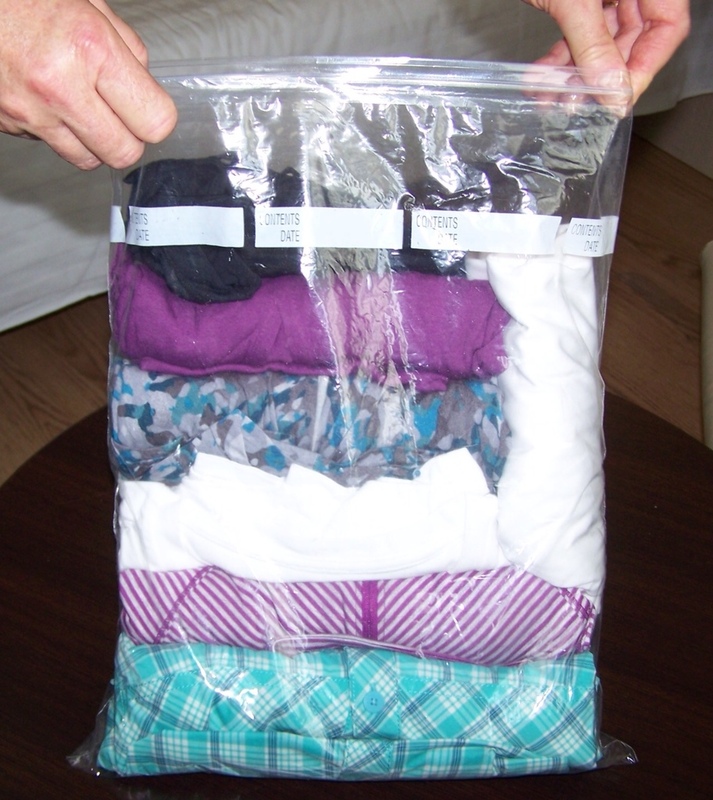 You should have a perfect vacuum-sealed bag ready to fit neatly in your suitcase! Most hotels and apartments offer an iron and ironing board if clothes need a quick touch-up. You may develop your own technique, but we found this to work well for us. 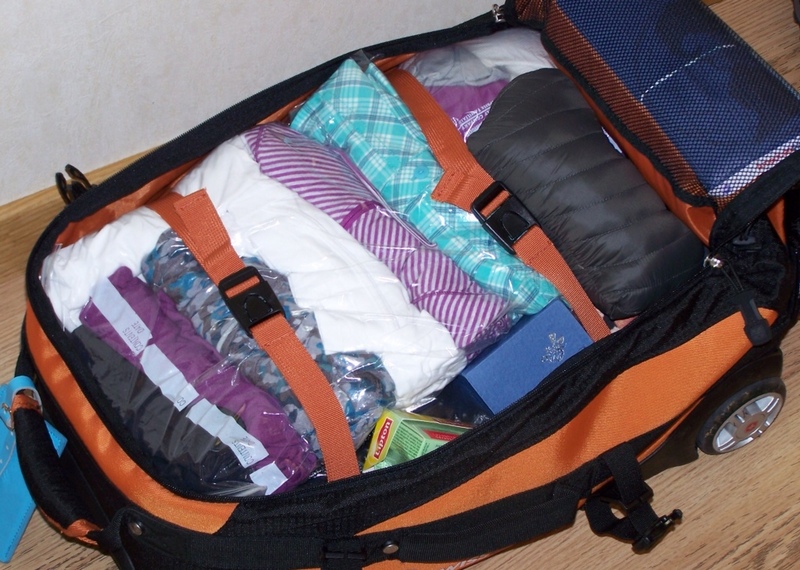 The Ziplock Method allows me to find exactly what I need without rummaging through my entire suitcase; something that has always driven me nuts! Happy Travels! I love a tidy suitcase! Cool! I have rolled but never bagged. I love the bagging…it suits my “a place for everything and everything in its place” sense of order. Brilliant! I love the highly scientific method of sitting on it. I knew you guys were planning to travel light but wow, those bags are small! That must be so nice for zipping around Italy. Lots of room in the luggage if you squash your Ziplocks! 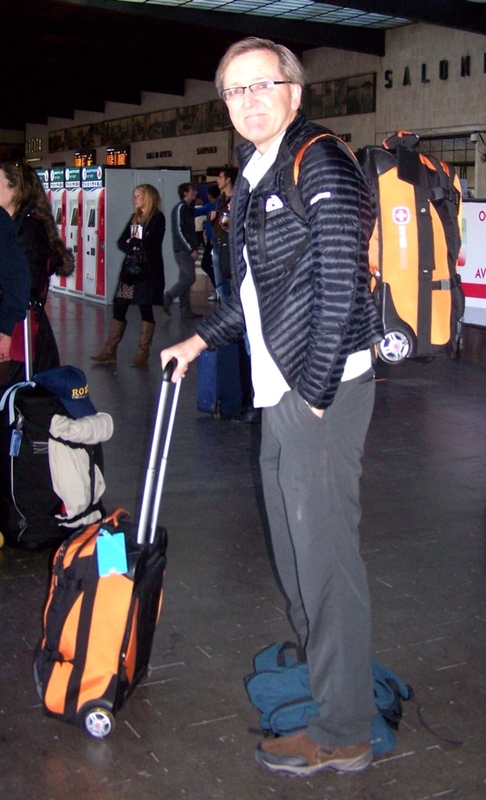 Is that taking the ‘lug’ out of luggage ?? Sitting on the bag is a fantastic idea that I’d never thought of. I’m in the market for a new bag and was thinking of getting something even smaller than my 21inch carry on. Packing will be a cinch if I put my things in a bag and squash it. I’m always trying to pack less! This will help me lots!